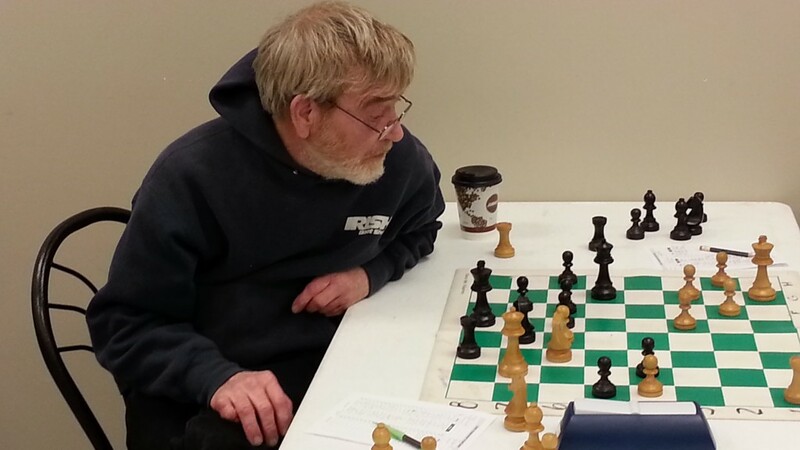 The Traverse City Challenge VIII, our first chess tournament of 2016, was held on February 27 at the Grand Traverse Mall. 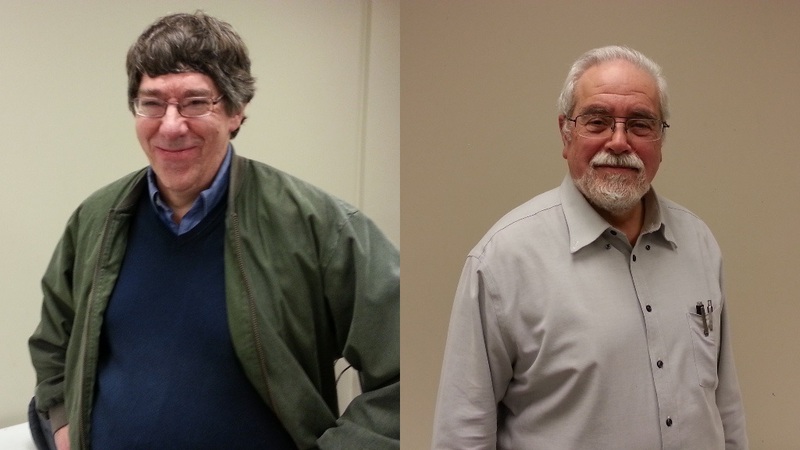 Congratulations to our section winners, Dave Sprenkle (Open section) and Sam Vorhauer (Reserve section). From left: Open Section winner FM Dave Sprenkle and Reserve Section winner Sam Vorhauer. This was our eighth tournament and we are hoping to have our ninth in May 2016. A big surprise in the Open section was the performance of Gavin Roupe, 18, from Mount Pleasant. Gavin is a newcomer to competitive chess; his first USCF-rated tournament was in 2015 but his rating has skyrocketed ever since. Coming into this tournament he was rated 1738 but he scored two consecutive upset wins en route to a final round matchup with Dave Sprenkle, which Sprenkle won. Including this tournament, Gavin’s lifetime record against players rated 1600+ is an astonishing 10 wins, 2 draws, and 4 losses. Keep an eye on this young man, he’s going places. 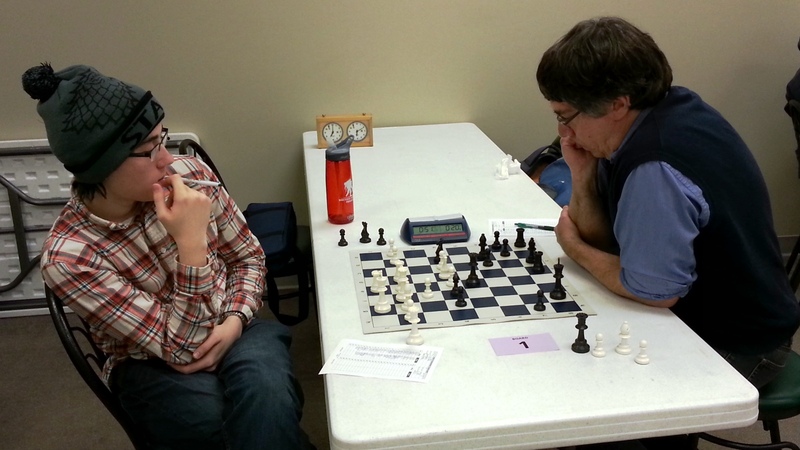 Gavin Roupe (left) battles master Dave Sprenkle in a Round 3 matchup that decided the winner of the Open section. Joe Revnell ponders how to save his rook. Thank you to all of the players who came out and supported our tournament. Without you, there’s no competitive chess in Traverse City.